Set of 3 Bowls. Black and Gold Finished Metal. Hammered metal with organic edge. 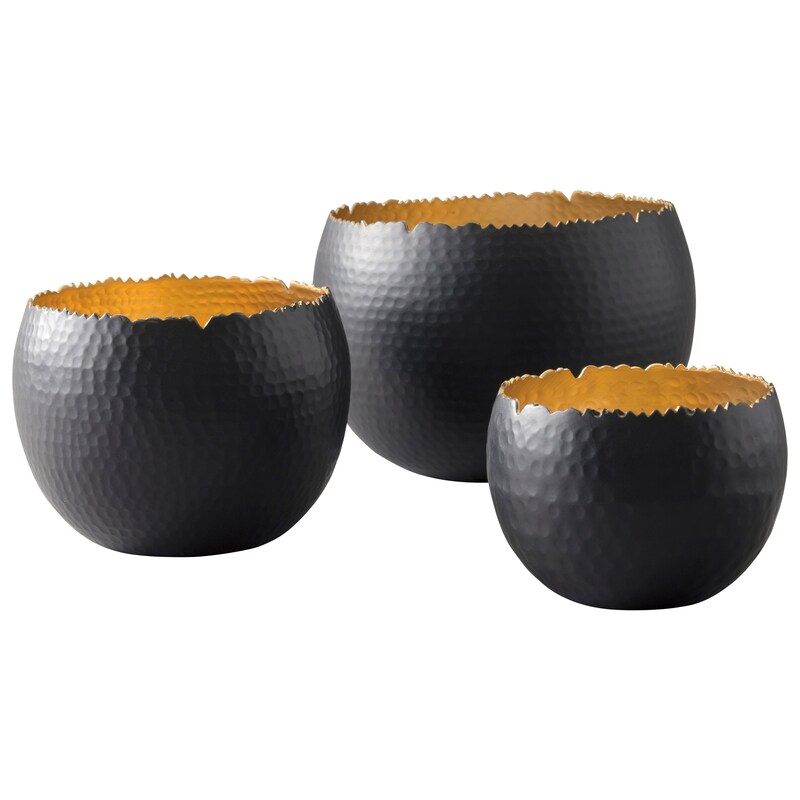 Bowl-large 8.50" x 8.50" x 5.50"
Bowl-medium 6.50" x 6.50" x 5.00"
Bowl-small 5.00" x 5.00" x 3.60"
The Accents Claudine Black/Gold Finish Bowls, Set of 3 by Signature Design by Ashley at Royal Furniture in the Memphis, Nashville, Jackson, Birmingham area. Product availability may vary. Contact us for the most current availability on this product.